Montreal is the second largest city of Canada and also the largest city in the province of Quebec. How did the city get its name? Originally the city was known as Ville-Marie or City of Mary. Then it became Mont-Royal or Mont Réal; spelt in Middle French. Flights to Montreal are widely available. The language mostly spoken is French. It only takes you 20 minutes from the airport to reach Montreal. It is a great place to be on foot, cycle or public transit because the neighbourhood is safe, clean and quick; as the routes are connected to all major tourism attractions. Montreal is multicultural, offering varieties of gourmet dining and more than 80 ethnic communities for you to enjoy. There is always something fun, interesting and happening on any days of your visit; be it day or night! You will not get bored. Here are some places that you can go to. Plateau du Mont Royal is one of hippest districts, and it used to be a blue-collar neighbourhood. You can find art, bars and restaurants. Just get a bixi bike; public bike system and random tour long the tree-line streets and picturesque boulevards. 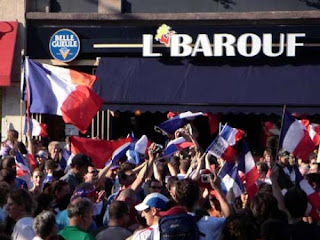 Stop by Barouf if you need a drink with your friends at night. You can order brews in a giant plastic tower with a tap at the bottom. They have a great selection of beers at affordable prices. Places des Arts is for those who love arts. The complex was completed in year 1963 but renovated a few times. It has an outdoor plaza with fountains and ornamental pool. An underground tunnel is attached between the complex and Complexe Desjardins. Two of the five halls in the complex are 3000-seat Salle Wilfrid-Pelletier and 1500-seat Théâtre Maisonneuve, and a small experimental space known as the Cinquième Salle. 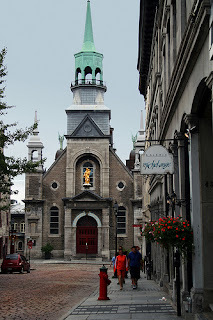 For religious visit, you may go to Chapelle Notre-Dame-de-Bonsecours or Sailors’ Church. The church got its name from sailors who left behind ship shaped votive lamps in returns for safe passage. You are able to see paintings and stained-glass windows of Virgin Mary and varieties of icons inclusive a recumbent statue of Marguerite Bourgeoys. Not much of its origins are left as there me many renovations done. There are artefacts dating about 2000 years ago and foundations of the original chapel from year 1773 in the crypt. Do not forget to clime the 292 steps to the observation tower. You will get a wonderful view of Old Port. Bring your passport and visa with you all the time; to be on the safe side. Before leaving, spare some time in the souvenir shops. Flying over to Montreal is the fastest way especially when you’re on a business trip. But if you’re on a vacation, then you can book your flights and hotel together as a package from travel agencies. There are many attractive packages and cheap flights to Montreal available for you to choose from. Going to Montreal is like going to Paris for it has architectures, variety of gourmet dining and a mixture of more than 40 ethnic communities. During winter, the temperature drops to -30 so is really cold. But the weather doesn’t stop people from going out because there will be carnivals, underground shopping and lots of fun! The Underground city is the best getaway during winter. You’ll be able to find buildings such as museums, restaurants and other facilities there. If you’re not planning a trip to Montreal during the winter, it is okay. You might find yourself having more fun instead. Take a tour to Vieux Montreal where you’ll find the City Hall, Bonsecours Market and the Notre-Dame-de-Bon-Secours Chapel. You can also cycle in parks, and skate at outdoor skating rinks. For night goers, you can enjoy a drink or two at the bars. Summer is usually the peak season that falls from late June till August. So it is the most expensive time for you to make bookings. The weather is warm with several festivals and competitions such as the International Fireworks Competition and the Just for Laughs Comedy Festival. If you prefer the off peak season, then you should go in September till October. The weather is still fine and there are lesser visitors. The best time to visit is spring because the bookings drop dramatically due to the mud season. You might feel a bit uncomfortable though. 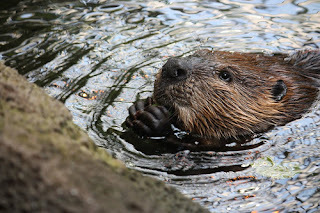 If you’re a nature lover, do visit Montreal Biodome which is a zoo of four ecosystems such as Tropical Forest and Saint Lawrence Marine Eco-system. Don’t miss it! From the airport to the centre of Montreal and major hotels, you can either get a city transfer in an airport shuttle bus or hire a cab. You can also have car rental services. At the airport itself, there are ATMs, money exchangers, duty-free and other shops. If you’re hungry, get a bite from the food outlets. For disabled travellers, do request for special needs facilities in advance when making bookings. No worries of going around in Montreal as there are public facilities like busses and metro (trains) that you can travel in. Make sure your passport and visa are valid prior to making bookings. Carry them with you all the time. Deep within everyone, there is always a place for charity. I'm sure one will be moved and have empathy to try to help. Sadly, some have taken advantage of it to tell lies and make money for themselves. Saturday's Borneo Post, showed a picture of a man covering his face with a folder. His picture was captured by reporters who were tipped off by the coffee shop customers. Apparently, he was going around showing folders of handicapped children, claiming he was asking for donation on behalf of charitable organizations. However, many doubted it was genuine. Besides, if it really was he would not have to quickly hide his face. In addition, charitable organizations are very transparent and do not usually send people randomly going around in public places. Official ones, like UNICEF usually set up booths, and have proper pamphlets and their staff wearing the UNICEF t-shirt. While waiting for my flight back at KLIA during the break, it now got me thinking that something similar was happening. I observed one young woman targeting people sitting alone and also approaching other people with a folder. I saw her showing a group of men some folder with photos. They listened, but after that did not donate any money whatsoever. Later on, i passed by the KFC restaurant and she targeted all the people sitting alone. I am in no position to judge whether it was genuine, but if it really was it wasn't such a smart move. Firstly, she did not bring any identification, not even wearing a t-shirt indicating she's from some charitable organization. Secondly, I don't think many reasonable people will be convinced to donate without any verification that it is really real. However, I do admire her courage of going round asking people for donation, be it real or not. Nevertheless, my opinion is that it is similar to the case in the Borneo Post. With this amount of courage, instead of making money out of pity and scamming others, getting a job in sales, branding or promotion would be perfect:) Obviously, won't be as easy as the charity job, but at least selling something to people that they can use. The past is history and it cannot be changed because we cannot turn back time. However, I believe it serves as a way to learn and improve for the present. Sometimes, I find it frustrating to remember things that have happened which may be a little unpleasant or brings back bad memories. Only then, have I understood why it sparks off so much anger when someone says something or a certain situation occurs. As human beings, it is impossible to erase past experiences, even those in kindergarten or primary school. As we get older, our minds become broader and we can control our emotions better. In my opinion, reflecting on the past to a certain extent is good to help make decisions, by learning from past mistakes. However, regret only causes discouragement to move on in life. We are as a social norm to live and work together, helping each other in the community. However, discernment is important to ensure people don't take advantage of a person. It should be two ways, sadly many times it is not. Thus, a possible safeguard is to never simply be too friendly or nice before getting to know a person well enough. Honestly, it is better to give than to receive but sometimes it can get really bad, frustrating and hurting just because of someone else. Recently, the news has highlighted the seriousness of unemployment in the European countries, especially in Spain. Its unemployment rate is currently floating around 20%, which is indeed very high. Due to the economic downturn, the labelled 'lost generation' consist of fresh graduates who are unable to find jobs. Despite applying to so many firms, few have received any reply as firms cut down on employment. One of the main causes is the high external external debt of government and also the lifestyle of the people who live above their means. Although Malaysia is considered a developing country, I believe we are still very fortunate as our government has managed its expenditure well and Malaysians are more careful with their spending.